Alexander Gray Associates is pleased to announce the inclusion of Melvin Edwards and Coco Fusco in the 56th Venice Biennale, All the World's Futures, curated by Okwui Enwezor, Venice, Italy. The ruptures that surround every corner of the global landscape today recall previous catastrophes throughout history. In order to better understand contemporary disquiet, the exhibition examines the relationship of art and artists to the current state of things. One hundred years after the first shots of the First World War were fired in 1914, and seventy-five years after the beginning of the Second World War in 1939, the global landscape again lies shattered and in disarray. Everywhere one turns new crisis, uncertainty, and deepening insecurity across all regions of the world seem to leap into view. Rather than one overarching theme, All the World’s Futures is informed by a layer of intersecting Filters, namely Liveness: On epic duration; Garden of Disorder; Capital: A Live Reading. 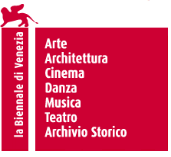 The 56th International Art Exhibition will employ as a Filter the historical trajectory that the Biennale itself, over the course of its one hundred and twenty years existence has run over, a Filter through which to reflect on both the current “state of things” and the “appearance of things”. At the core of the Exhibition is the notion of the exhibition as stage where historical and counter-historical projects will be explored.